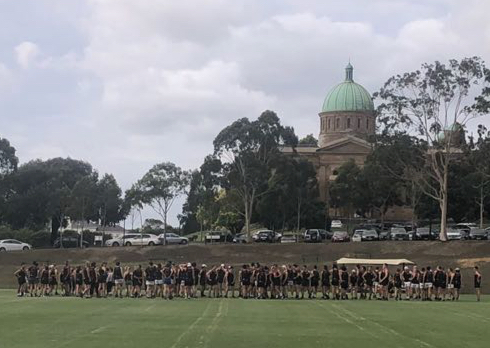 Season 2018 is now in sight and the first training session of the year at Xavier College last night attracted a crowd. Under cloudy skies, over 120 players turned out to dust off the cobwebs, and they did so in impressive style. All wore the new training singlets and looked the part. There were quick feet, quick hands and quick ball movement as the coaches put their charges through warm-ups and subsequent drills. Football Director Murray Browne was pleased with the turnout and the application. "We're asking everyone to lift the bar this year. Training will be tighter and we expect our players to respond. There will be more coaches around the place to ensure that our standards on the track will be higher and from tonight's showing, we appear to moving in the right direction," Browne said.. There were plenty of new faces to complement the more seasoned veterans. Making their earliest appearance ever in the pre-season were a squad of around 20 from the Thirds. U19 coach Sam Shaw had around 30 of his lads kitted up and ready to go, while Ro Young's muster of around 30 showed plenty of enthusiasm for the task, and skills way beyond those displayed a year ago. "All in all, the players seem to have come back in good shape after the break. Charlie Woodley, Duck Beetham and Hamish Cullity stood out in that regard. "It's two months until Round 1, but before we know it, we'll be into practice matches. Those who come out early and train hard to build their season's foundation will get the early rewards. There will be strong competition for places in all of our teams," Browne added. Training will continue on Tuesdays and Thursdays at Xavier until the end of March. 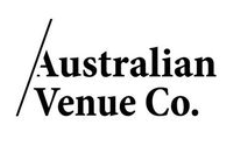 Opening Day is on 7 April, when Xavs host Old Trinity at Toorak Park in Premier Section. The practice match schedule is spread over 12 days, commencing on 17 March with a St Patrick's Day triple header against Northcote Park at Bulleen. On Thursday evening 29 March, there is likely to be a hit-out for the 1s and 2s against Old Melburnians. Preceding the practice games will be a training camp, to be held on the weekend of 24 February at Portsea.